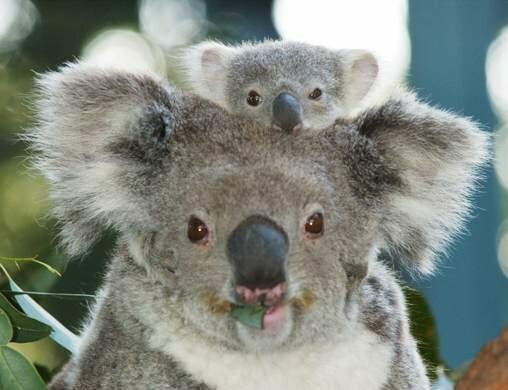 Look at this picture of a koala bite. Vicious. This woman got bitten by a koala, and it was not cute. THE KOALAS HAVE TURNED AGAINST US. It was bound to happen. No one can just be cute and fuzzy all the time without snapping. Ok, so we did know that they could be vicious in the wild. We just chose to ignore it, because of their cute widdle furry faces that we just want to squeeze and nawwwwwww. 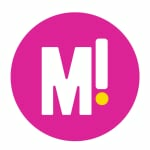 Us? Vicious? Never. Nom nom nom. BUT DON’T BE FOOLED, PEOPLE. 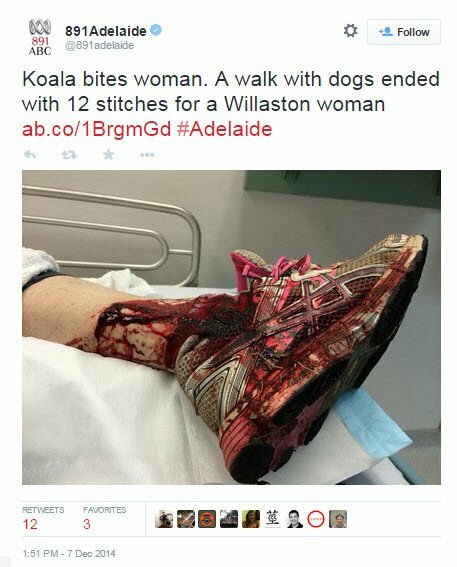 One koala has taken a bite out of a lady’s leg. And it’s not pretty. Mary Ann was walking her dogs, just north of Adelaide. She got distracted whilst texting on her phone. She got too close to a wild koala. And then, it was gnawing on her leg. And WOULDN’T GET OFF. “I had to put my fingers in its mouth and prise open its jaws to get my leg out. I had 12 stitches and … I was on IV antibiotics for four days,” Mary Ann told ABC Radio. We have no confirmation of the wheareabouts of Blinky Bill and Caramello Koala at the time of the incident, so their names have yet to be cleared.